She’s back! In Pog—I mean, Barbie—form! The Thirteenth Doctor ascendant. And toyetic. 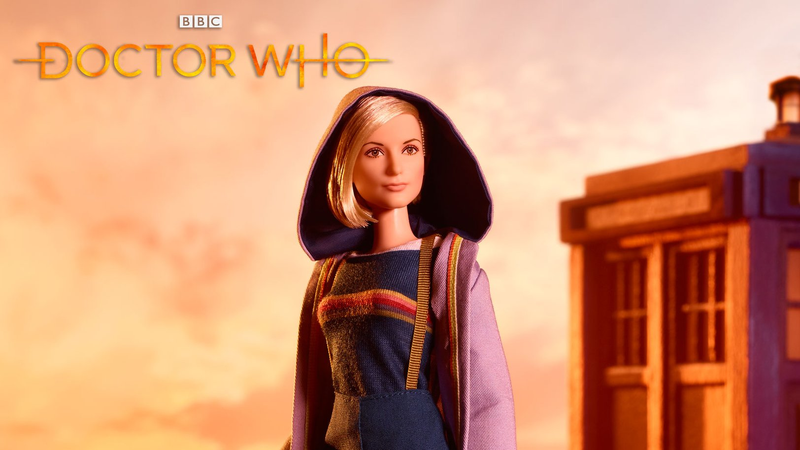 To commemorate the premiere of the new season of Doctor Who, BBC Studios and Mattel have partnered up to provide the ultimate piece of iconic Doctor merchandise: the Doctor Who Barbie. The doll, which goes up for preorder tomorrow here and at Barbie.com, captures the Thirteenth Doctor in all her high-fashion glory, holding a little Sonic Screwdriver and sporting a big, beautiful trench coat. Also, those boots! No word quite yet on how much the toy will retail for, but, gosh, just look at her. That’s some quality doll-making.